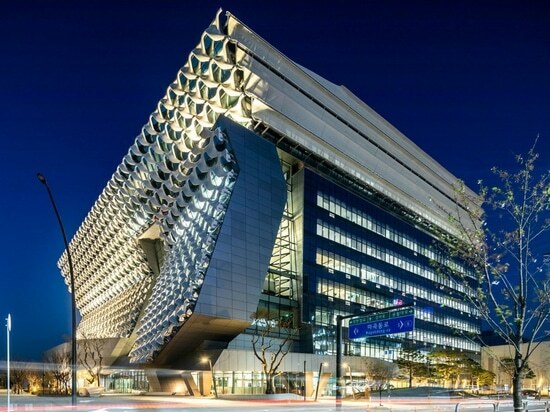 The folded facade of the Morphosis-designed Kolon One & Only Tower in Seoul is made from a high tech fibre used to make bullet-proof vests. 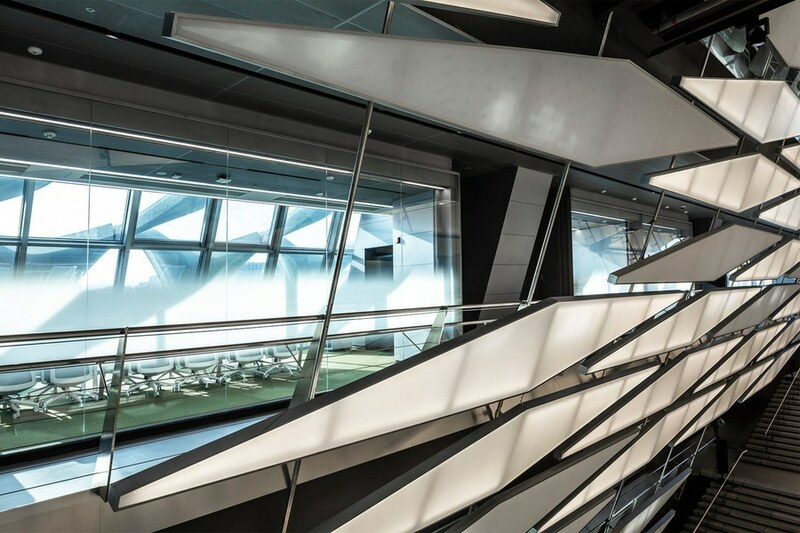 Morphosis founder, and Pritzker prize-winner, Thom Mayne worked with Korean textiles manufacturer Kolon to create a new research facility that incorporated the company's own high tech materials into its facade. 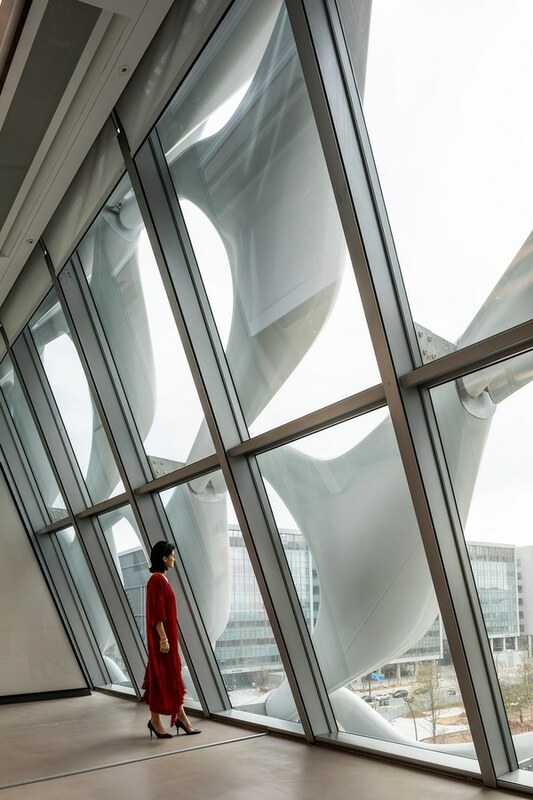 "Working with a company like Kolon, which also has innovation at its core, allowed us to really push the limits of materials, technology, and design, to create a building that is visually striking and sustainable," said Mayne. Aramid, the material Morphosis chose for the interconnected sunshade system, is a reinforced fibre manufactured by Kolon that has five times the tensile strength of iron. 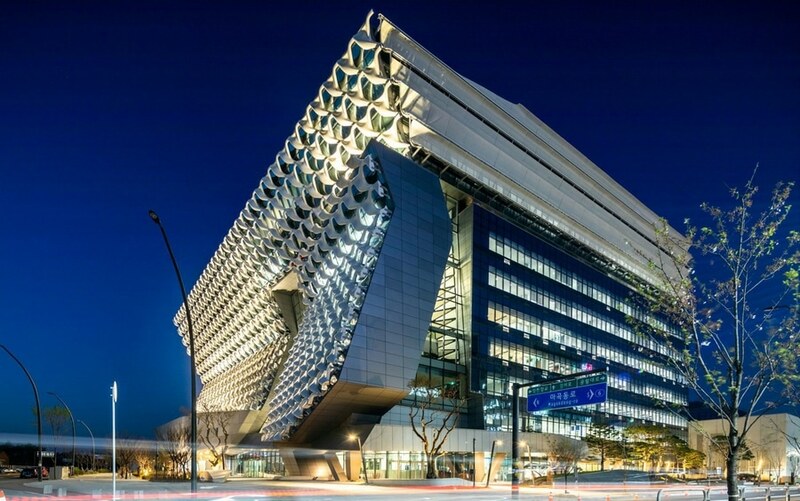 It is used in everything from bullet-proof vests to aircraft parts.With no visible support structures, the interlocking facade appears to hover over the glazed exterior of the west-facing main facade that faces towards Magok Park, the centre of Seoul's new technology district. "The new research and development facility for Kolon sets the standard for sustainable design and construction in the emerging Magok district," said principal architect Eui-Sung Yi. 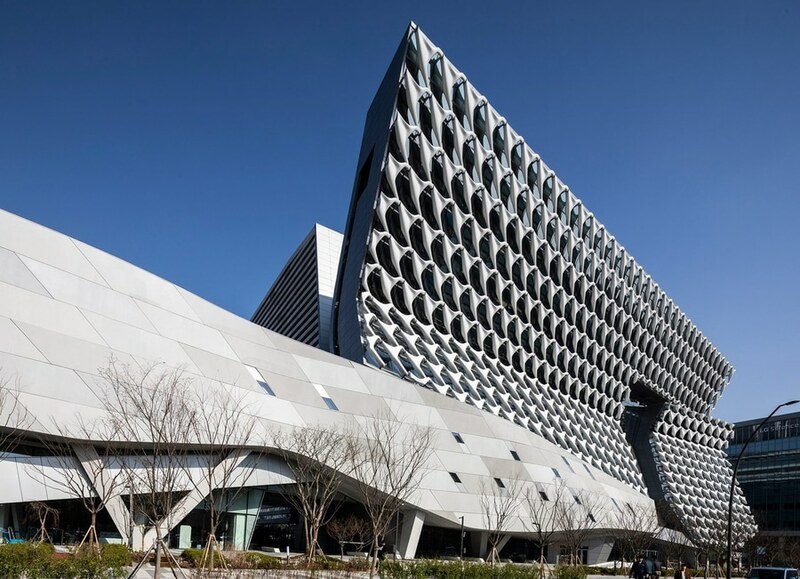 "Inspired by Kolon's severe-weather layered performance wear, our team worked with engineers and fabricators to apply a performance driven series of vertical layers to our design that challenges the conventional approach to sunshade design and enhances the building's sustainability," he said. 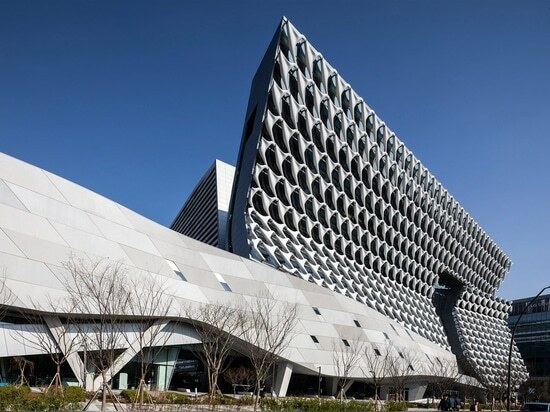 Along with the self-shading facade, the Kolon One & Only Tower has sustainable design features such as solar panels and green roofs, and has achieved a LEED Gold rating.Morphosis used recycled materials where appropriate, and bubble deck technology that uses 30 per cent less concrete than standard slabs by adding plastic balls to the material. 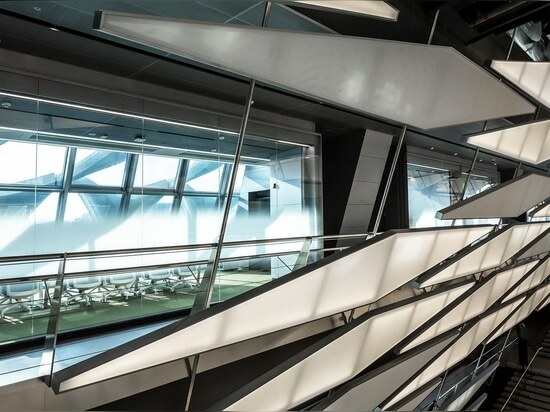 Three laboratory wings are bridged within the folded volume, which houses conference rooms and social spaces for staff. The ground level is accessible to the public, with space for visitors to interact with the Kolon brand. 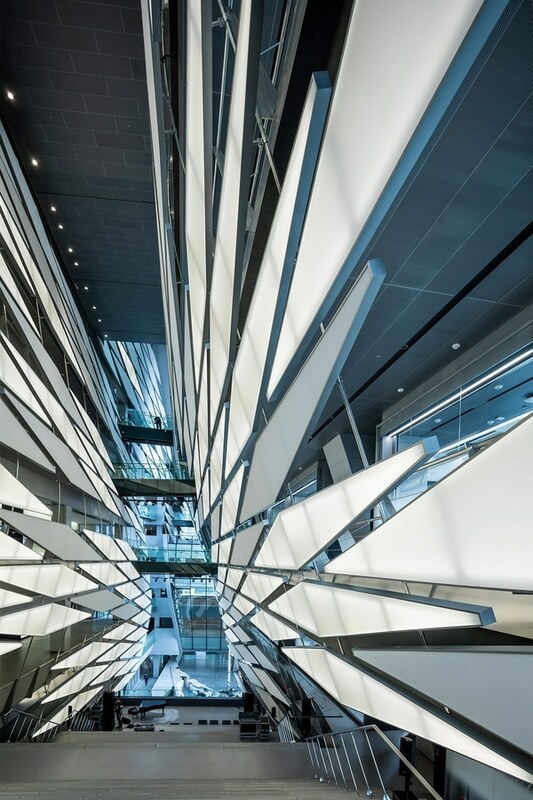 A central atrium runs 100 metres through the centre of the main building, stretching 40 metres tall with translucent panels allowing natural light to pierce the building. 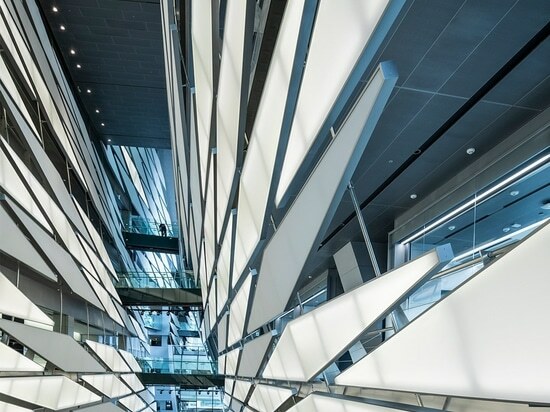 Based on the Spanish Steps in Rome, a grand central staircase descends through the hall, which is lined with 400 eight-metre long panels that showcase Kolon's materials. The steps are intended to act as a "vertical courtyard" for employees to encounter each other in and to host the company's end-of-year gatherings. Workers at the research facility also have outdoor courtyards and roof terraces to take breaks in the fresh air. In the centre of Seoul, David Chipperfield Architects has recently completed a new headquarters for beauty giant Amorepacific, a cube-shaped volume with voids containing aerial gardens. 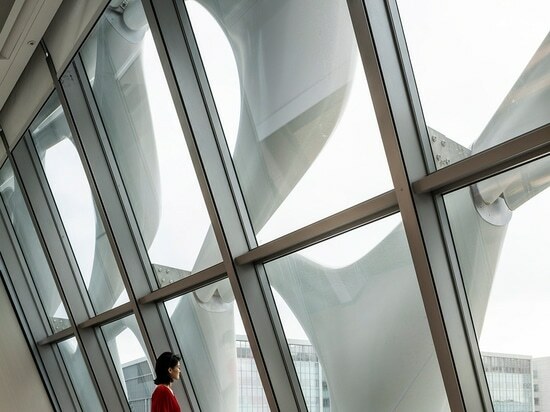 Morphosis, which has offices in Los Angeles, New York, Shanghai, and Seoul, is currently designing a swooping art museum in California and a supertall skyscraper in Shenzhen.